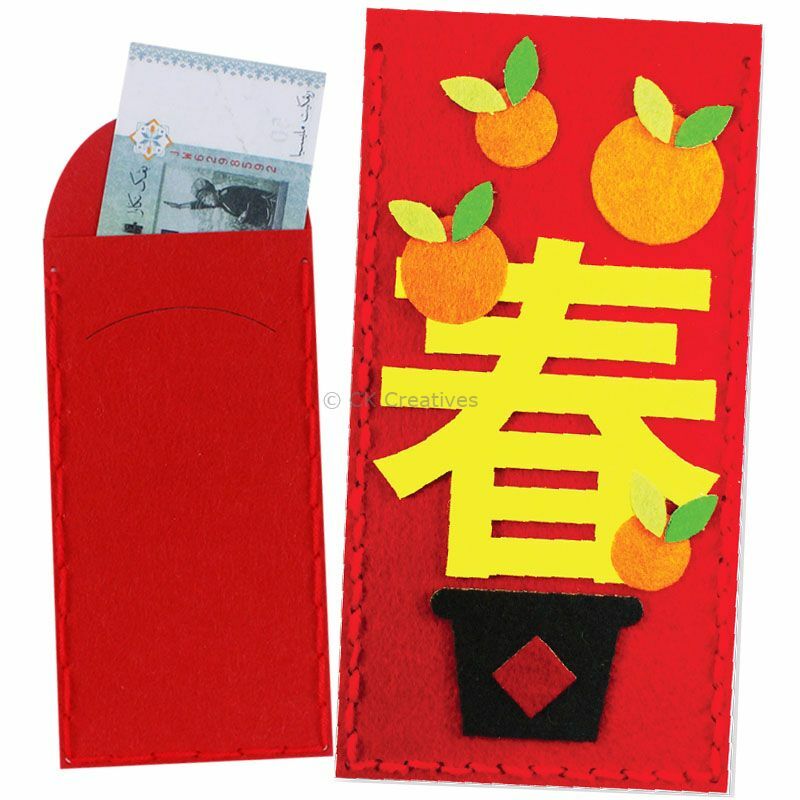 Give out your unique, do-it-yourself red packets (ang pow) during Chinese New Year! 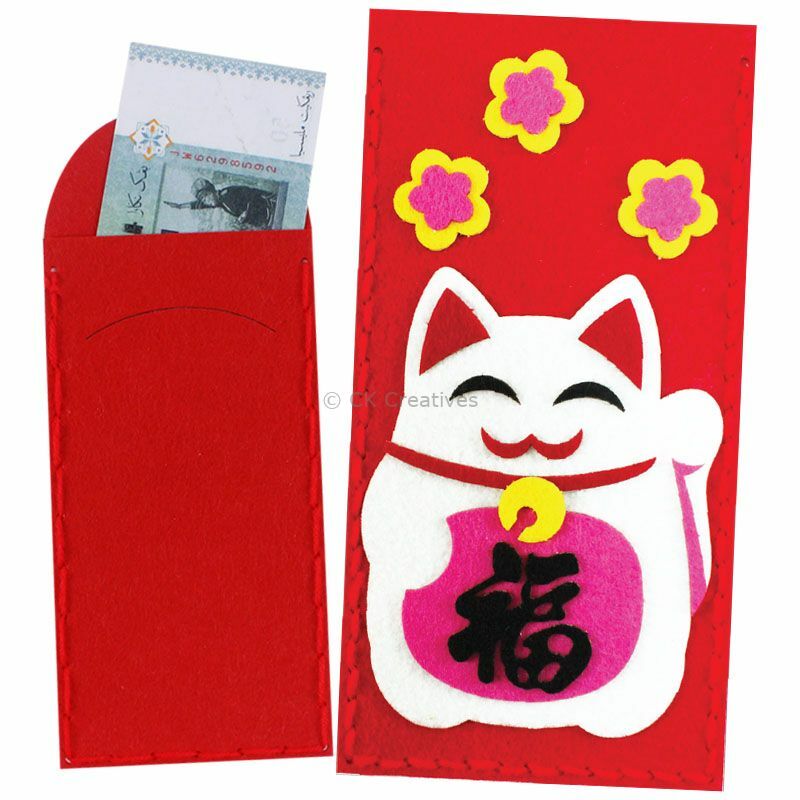 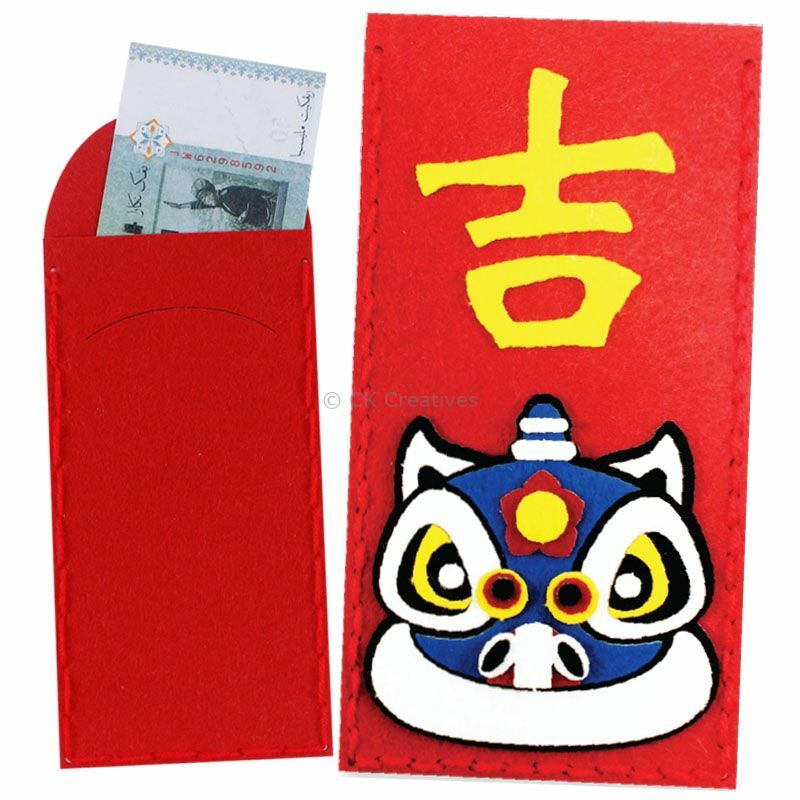 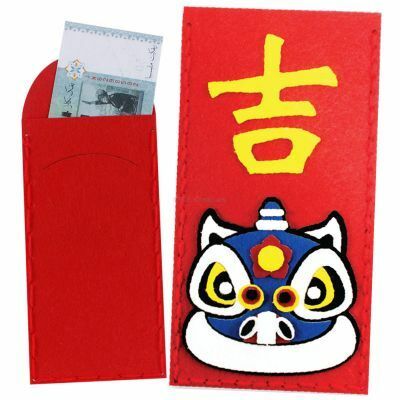 Comes in 3 designs - Fortune Cat, Lion Dance and Spring Mandarin Orange, available in assorted designs. Made of felt materials, kids will have fun sewing the ang pows and sticking cute decorations to complete the craft. 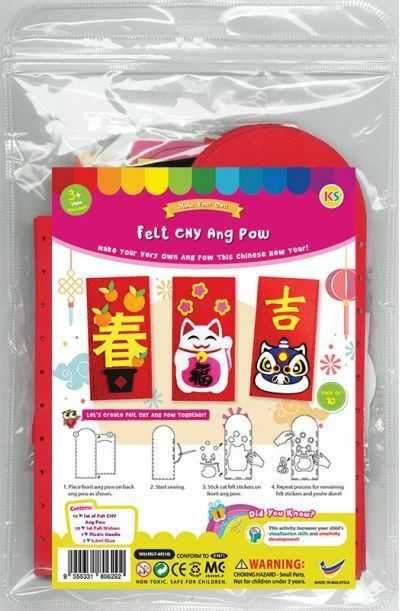 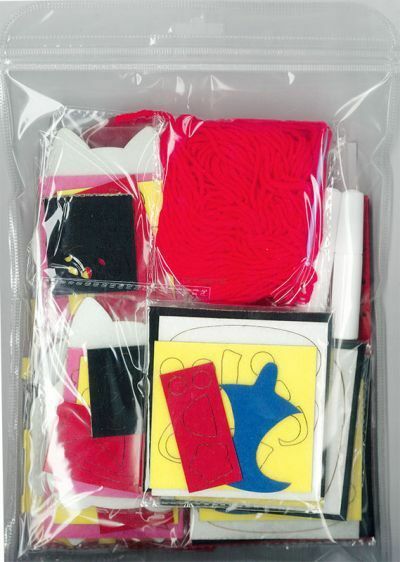 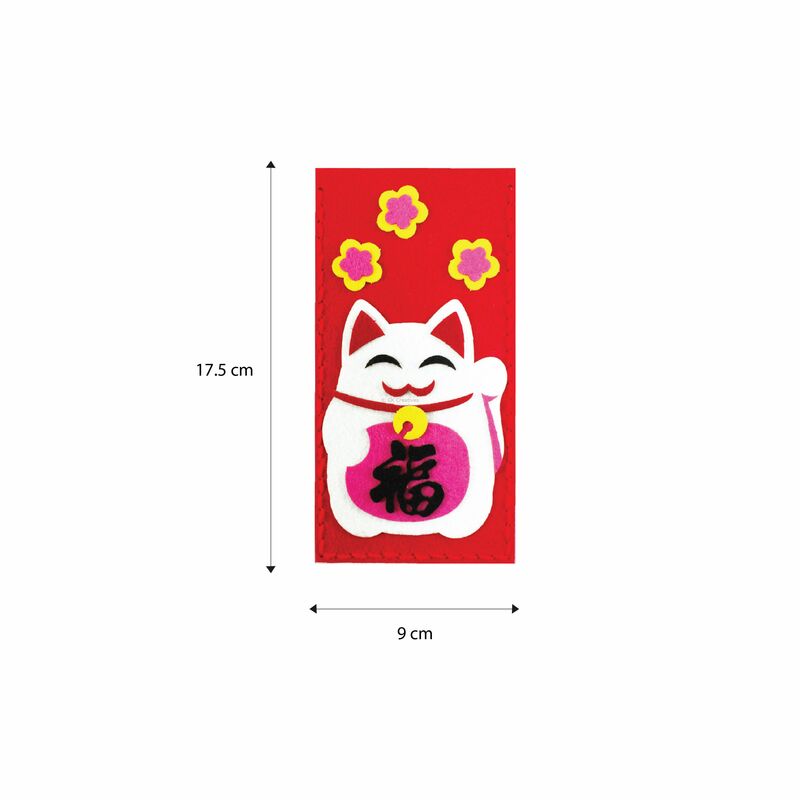 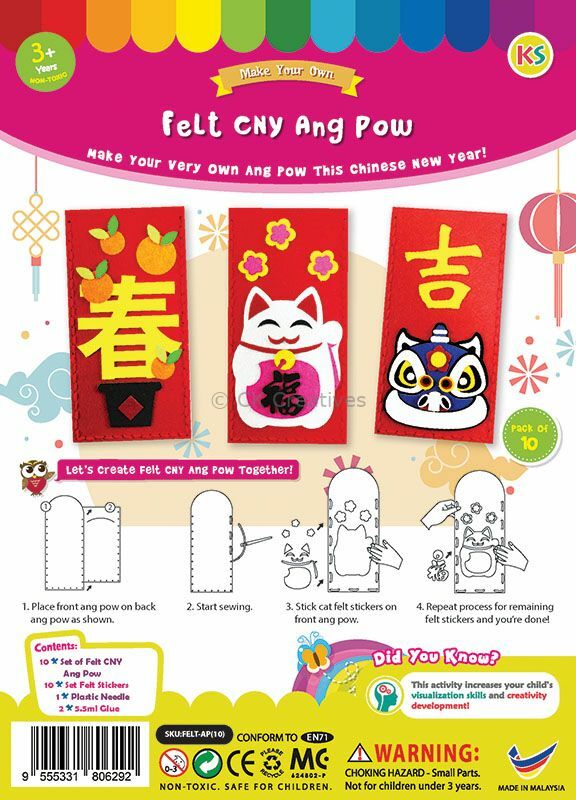 Perfect for Chinese New Year craft lessons and Chinese cultural activities and events.